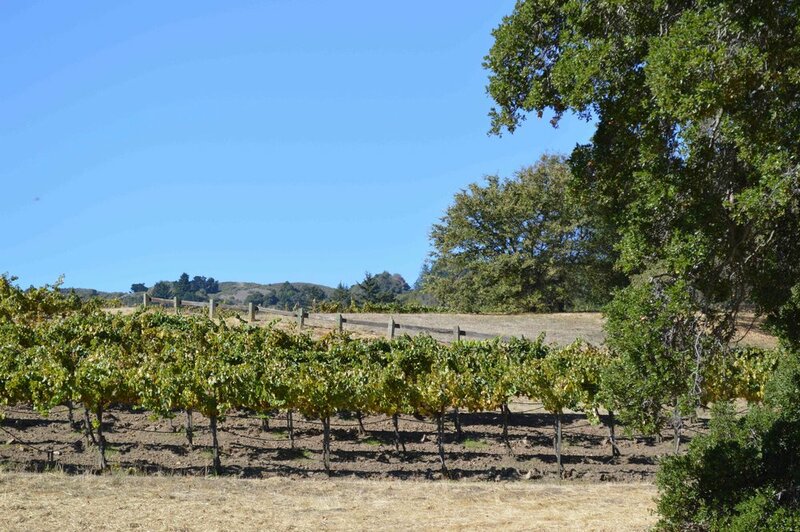 At the northern boundary of the oak- and redwood-forested Santa Cruz Mountains, Spring Ridge Vineyard runs from the floor of Portola Valley up the ridge toward Windy Hill. In 1980 the Melchor family asked the Varner brothers to plant Chardonnay and Gewurztraminer on the lower portion of the property. The vines we still harvest 38 years later were planted block by block down the ridge below the historic house, creating the three Chardonnay Blocks that are now legendary: Home, Amphitheater, and Bee. In 1995 the Neely family began stewarding the property, reimagining the commitment to viticulture and wine. By the early 2000s Pinot Noir plantings—Hidden, Upper Picnic, and Picnic Blocks—completed the foundation for one of the most renowned vineyards in the Santa Cruz Mountains appellation. A unique, small bi-level indoor-outdoor winery and cellar facility was completed in 2000, initiating the era of estate winemaking. Tending and harvesting grapes just a stroll from the cellar allows for low-key and masterful production of subtle, affecting vintages. From the very beginning viticulture at Spring Ridge has been careful and ecologically sensitive. Spring Ridge Vineyard and Neely Wine are proud to be the home of a unique, terroir-driven project. After Bob Varner's retirement from the property in 2015, Shalini Sekhar joined Neely Wine to carry on the tradition of estate-crafted, block-designated winemaking at Spring Ridge. In 2017, a new phase of vineyard planting was begun, commencing an exciting decade of novel varietals and our brand new wine club. We are fortunate to enjoy a unique connection to the distinct geography and geology of this special property—microenvironments that include open valley oak grassland, native forest of live oak, madrone, bay laurel and California buckeye, and canyons of Douglas fir (Bozzo Gulch to the south) and redwood (Neils Gulch to the north). Sausal Creek courses through willows and cottonwoods, next to the Woodside Trace of the San Andreas Fault in the valley floor, on its way to the San Francisco Bay. Spring Ridge extends from an elevation of 500 feet reaching up to 1700 feet above sea level below Windy Hill. Mostly forested, it is also abundant with wildflowers, including California poppy, lupine, paint brush, coral bell, shooting star, hound’s tongue, asters, honey suckle, wild rose and many more. It is home to an extraordinary array of wildlife—including jackrabbit, raccoons, skunks, fox, bobcat, coyote, mountain lion, owls (Great Horned and Barn), Red Shouldered and Red Tailed hawks, kestrels, golden eagle, newts, rattlesnakes, wood rats, and limitless squirrels, moles, voles and gophers. Spring Ridge benefits from the Bay Area maritime climate, but is protected from extremes of weather—both fog and cold, as well as high heat. Fog cradles the vineyards but never overwhelms them, and maritime breeze often course down the slopes. The geology of the vineyard favors expression of both Chardonnay and Pinot Noir grapes—Spring Ridge soils contain sedimentary rock, both close to the surface and at medium depth, and the ground is fed by spring water running deep underground. Except for occasional, very hot days before harvest, all Spring Ridge vineyards are dry farmed. We feel a strong responsibility to our land and environment, and to our customers, to produce wines in a sustainable manner. We practice a careful cultivation that results in superior, flavorful grapes, while protecting the countless fauna and flora that inhabit the land. Shalini is our winemaker. We met Shalini at ROAR Winery in San Francisco and were thrilled when she agreed in the spring of 2016 to spearhead Neely Wine as it enters a new decade of and superb vinification. Her experience is manifold and impressive: after attending the post-baccalaureate enology program at Fresno State, she worked at Stags Leap Wine Cellars and then Williams Selyem, where she honed her Pinot Noir winemaking skills. She became cellar master at Copain Custom Crush (now Punchdown Cellars) and also worked at Bluxome Street Winery. She joined the team at ROAR as the Custom Crush Winemaker, making wines for Furthermore Pinot and Waits-Mast Family Cellars, among others. In 2015 she was named Winemaker of the Year at the San Francisco International Wine Competition for her work with Furthermore. She continues to make wine for Waits-Mast in San Francisco. Visit ottavinowines.com. Lucy helps with administration and will place your wine orders. After graduating from Bates College in Maine, she lived in Mendocino County for 6 years, where she worked in a county program initiating community garden projects. Ken is our viticulture consultant through Rhizos Viticulture and Wine Consulting. He is also associated with Coastal Range Vineyards, managing many regional vineyard properties. Kirk and Holly own Spring Ridge LLC and Neely Wine LLC. They met at Brown University and moved to Portola Valley in 1983 as he started his pediatric residency at Stanford, where he is still on the medical school faculty and the staff at Packard Children’s Hospital. Holly was once the school board president in town and has served on many non-profit boards, particularly of international refugee and family planning organizations. Simon is involved in both viticulture and winemaking. He first learned ranch and farm management skills at Deep Springs College near Bishop. He was a co-founder of Coyote Canyon, a Community Supported Agriculture provider in Morgan Hill. He keeps a herd of goats and is acknowledged to have the best wine palate in the family. Kelly is Neely Wine's national distribution manager, through his company California Appellation Wine Consulting. 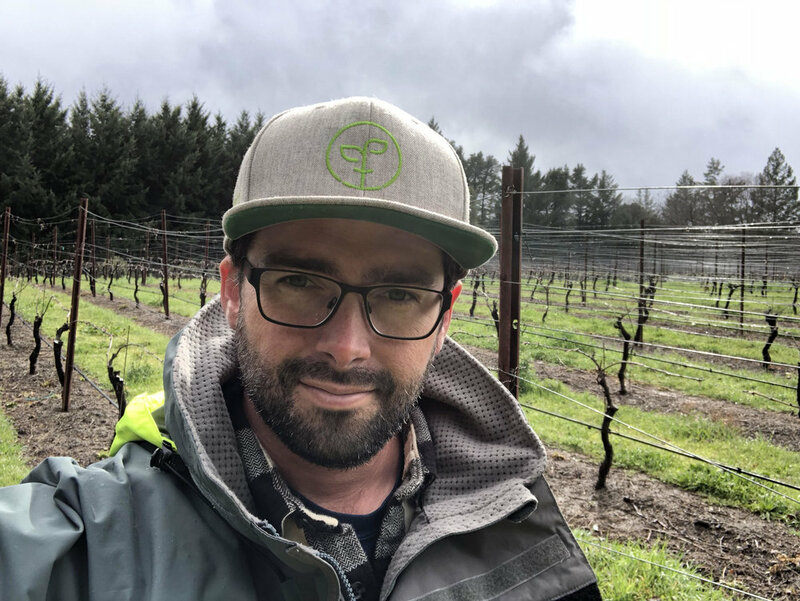 A native of the Bay Area, he held prior marketing and sales positions with E16 Wines, Fog Crest Vineyards, and Peter Paul Winery. Sign up for our Email List to receive offers, announcements, and future allocations!